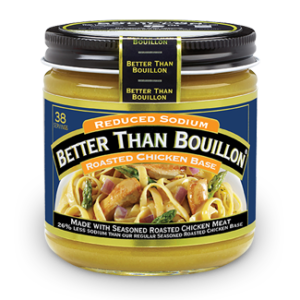 Update classic chicken pot pie, chicken and dumplings, and chicken cacciatore recipes with Better Than Bouillon® Roasted Chicken Base for richer chicken flavor. 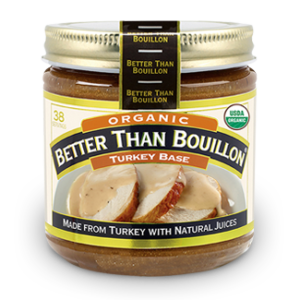 Instead of adding salt to homemade chicken soup, add Better Than Bouillon® Roasted Chicken Base, as it builds chicken flavor without the long cooking process. Add Better Than Bouillon® Roasted Garlic Base and fresh basil to tomato soup for an Italian twist. Serve with mozzarella grilled cheese sandwiches. Puréed vegetable soups can be bland. 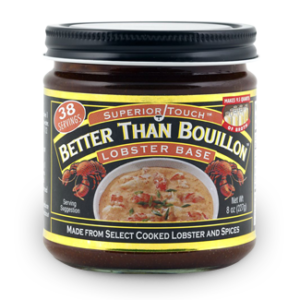 Use Better Than Bouillon® Seasoned Vegetable Base to turn up the flavors of cream of broccoli, mushroom or potato and leek. 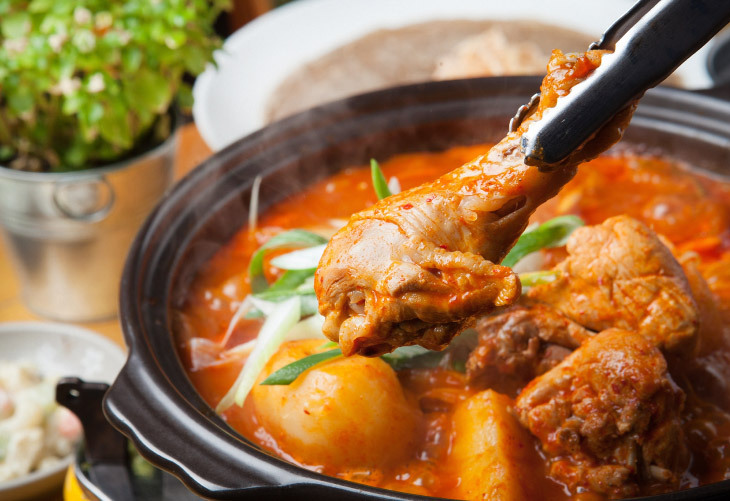 Chilled soups, such as gazpacho, need more seasoning because they are served cold. Enhance these soups with the balanced flavor of Better Than Bouillon® Seasoned Vegetable Base. Beef stroganoff is a classic dish. Add Better Than Bouillon® Roasted Beef Base to the stroganoff for extra flavor, and use it to season the cooking water for the noodles as well. Build layers of flavor for any beef stew, such as goulash or beef bourguignon, by browning the meat first and then deglazing the pan with Better Than Bouillon® Roasted Beef Base.